Nurture leads, attract more enrolments and build critical relationships with smart and easy-to-use sales & marketing tools. In today's ultra-competitive world, the way organisations manage their sales and marketing activity is critical to their success. 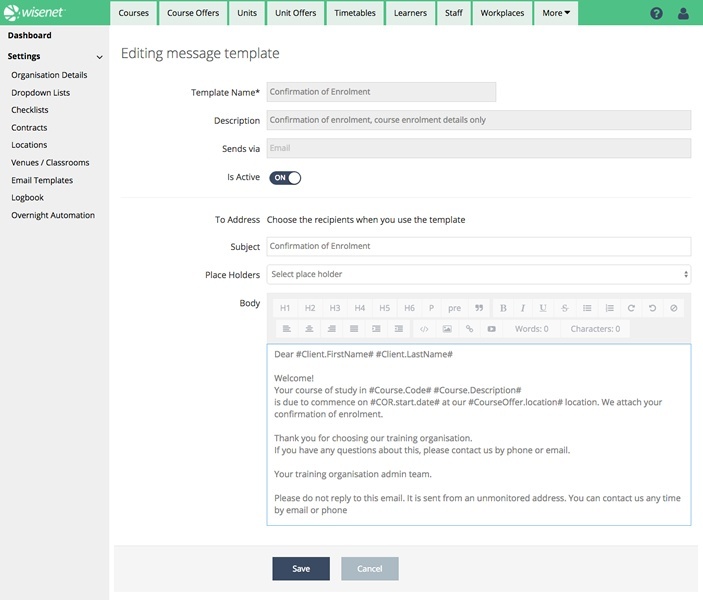 Publish courses online, take enrolment enquiries and make managing the sales process easy, accurate and timely. 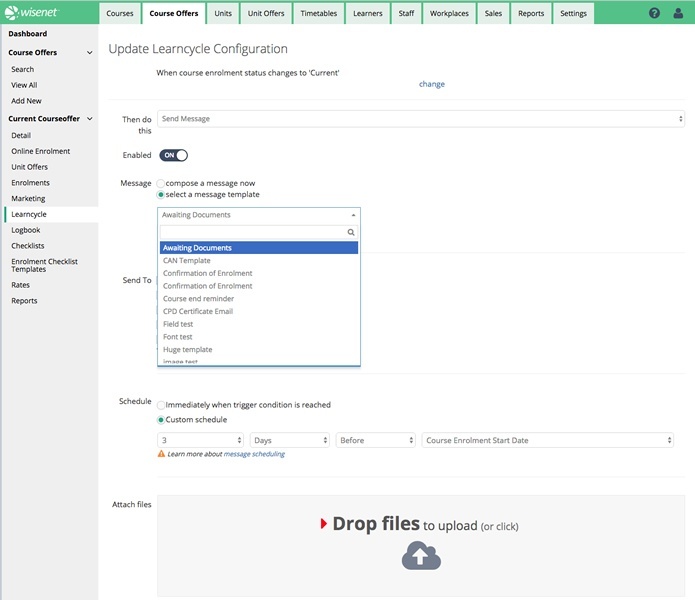 Administrators can easily manage what courses are visible on your website and when without the need for I.T intervention. 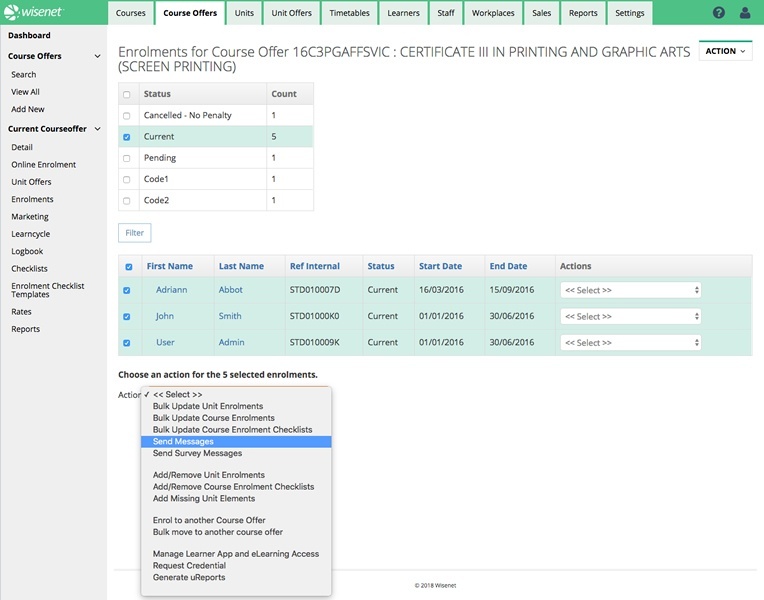 Define parameters such as publish dates, number of vacancies and fees. Collect all the personal and compliance data directly from the leaner at the time of application. Additional documents can be included such as evidence of prior learning. Visitors can submit their applications online for consideration by your admissions team. 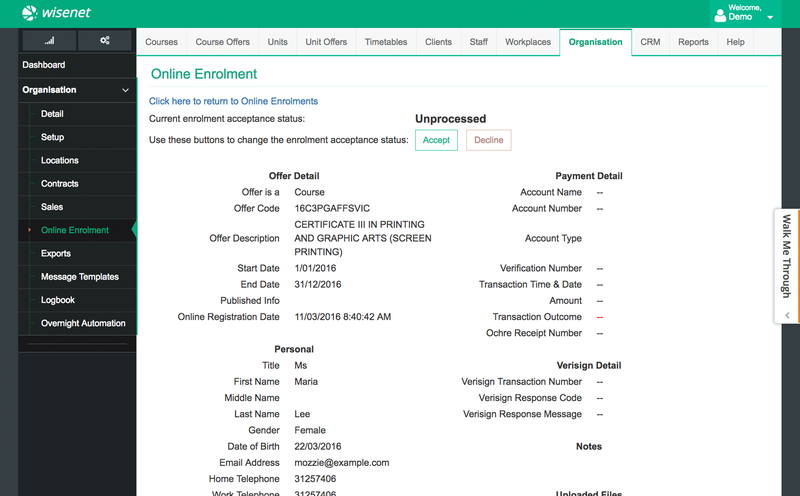 On acceptance, the learner is automatically enrolled in to their course of choice and all personal data saved to their record. Make collecting course fees easy and automatic with the option to add PayPal online payments to the enrolment application process. 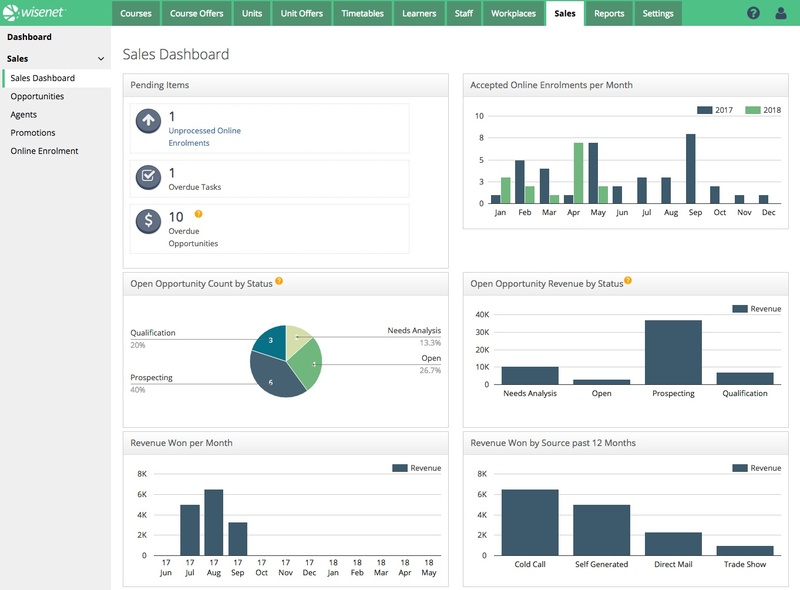 Manage opportunities through each stage of the sales funnel and measure the opportunity source, potential value and success. 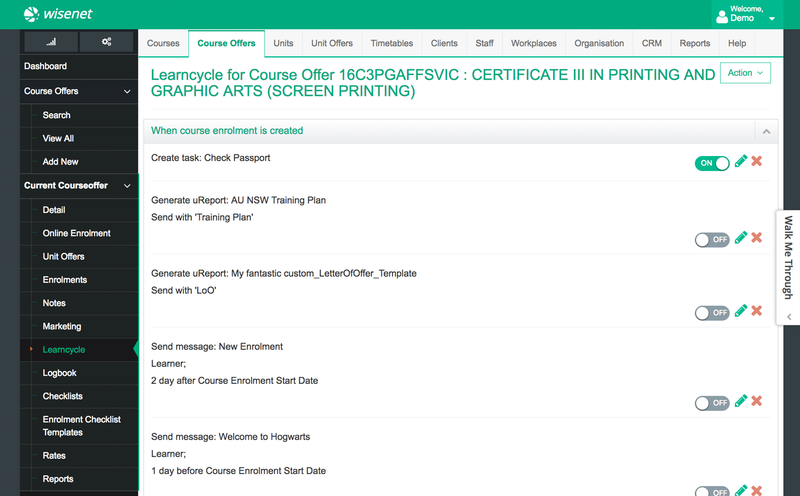 Set up agents and promotions for easy & accurate international learner enrolments. 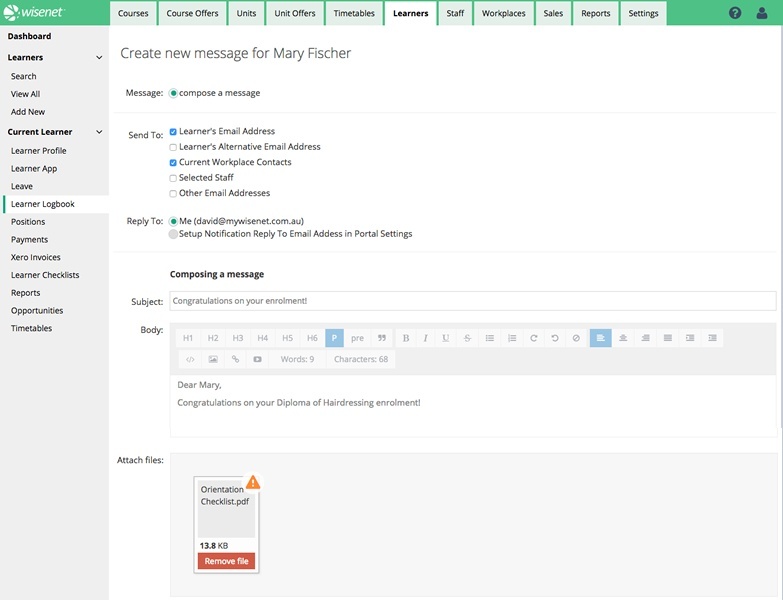 Keep contacts in the loop throughout the enquiry or application process with automated messages personalised for them. Trigger tasks so that nothing is missed to maximise on every opportunity.